Menu Maker for Concrete5, a simple and elegant solution for customized menus. 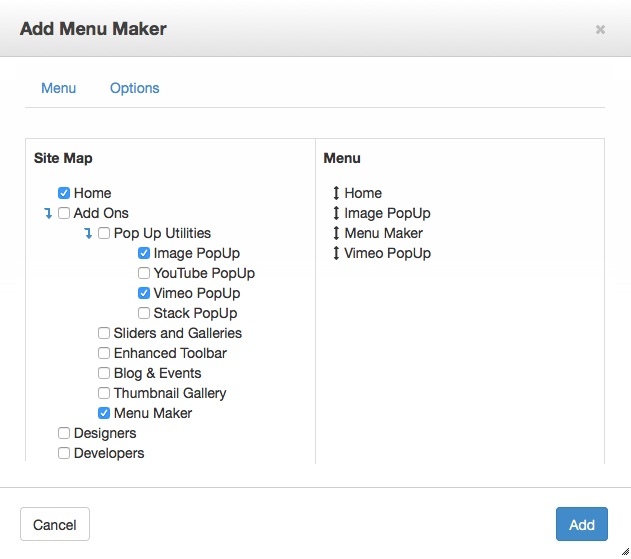 Menu Maker ignores the Exclude From Nav page attribute so you can select any pages you want to display in a menu and drag and drop them into the order you want them. It's quick and easy and great for custom Sidebar and Footer Menus, or anywhere on your website you need an extra or special menu.